Will your home be connected to NBN™ this year? 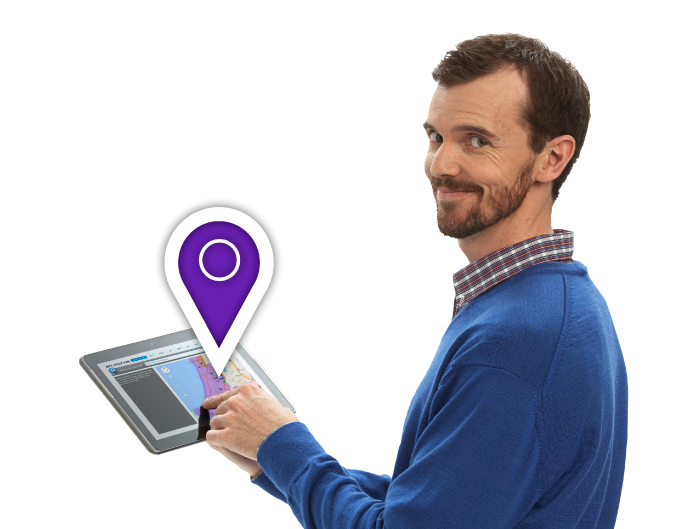 The easiest way to check your home’s status in the NBN™ rollout is to check your address on our website. Not only will this let you know which type of NBN™ technology is planned at your address (NBN™ Fibre, NBN™ Wireless or NBN˜ Satellite) but if your address is going to be NBN™-ready soon, you can also pick out your iiNet NBN™ plan and pre-order now so we can get you connected as soon as possible. Pre-ordering your iiNet NBN™ plan is typically possible once NBN™ is expected to be available at your address within the next three months but in some cases, you may be able to pre-order as early as six months in advance. If you’re already an iiNet customer, you’ll get an email and/or SMS from us letting you know when pre-order is available, so you don’t need to keep checking our website. If you’re not currently with iiNet, you may want to consider switching to one of our NBN™-ready Naked or ADSL2+ plans. Once NBN™ becomes available in your area, you’ll be able to upgrade it to iiNet NBN™ without incurring any contract break fees (although all of our NBN™-ready plans are available with no lock-in contract options if that’s more to your taste). One of the main advantages of pre-ordering your NBN™ plan with iiNet is convenience. We understand that the NBN™ rollout can be confusing and your circumstances may change over time, so we’ve made the process easy and hassle-free. Simply place your order and leave the rest to us! That means that if you move out, get a housemate or change your internet habits in any other way that would affect the kind of plan you need, no worries! You can change your NBN™ plan at any time, whether you signed up for a 24-month contract or a no lock-in contract. Even after your NBN™ plan is connected, you’ll still have the ability to switch to any plan within our current range of iiNet NBN™ plans, so it’s totally flexible for your needs. Another major benefit of choosing iiNet for NBN™ is our top-notch customer service team, of course! Choice, a leading consumer advocacy group, recently named us Australia’s Best NBN™ Provider for Speed and Customer Satisfaction, which is a pretty big deal. At iiNet, we’ve been connecting Aussies to great-value broadband and phone services for over 25 years and we’ve been selling NBN™ since the early days. We’re an experienced provider with a main focus on delivering awesome customer service so needless to say, you’ll be in good hands with us on the NBN™. If you’d like to find out more about iiNet NBN™, give our friendly Sales Team a call on 13 19 17 and we’ll be happy to help. New Satellite data upgrades have launched! Also will it be necessary to change phone provider? There’s no need to change from Westnet at all, so you’ll stay with Westnet. There’s no need to change provider either, as Westnet will continue to keep looking after you in that respect. what a joke, the year 2019 and I can only get 60GB at peak times, 7am to 1am. please please can we get a service at least as good as New Zealand or even most of Asia. The good news is that by the time Mal’s rollout finishes NBN will be obsolete and we will have 5G. Thanks for your thoughts! It sounds like you’re on one of our Sky Muster NBN Satellite plans. 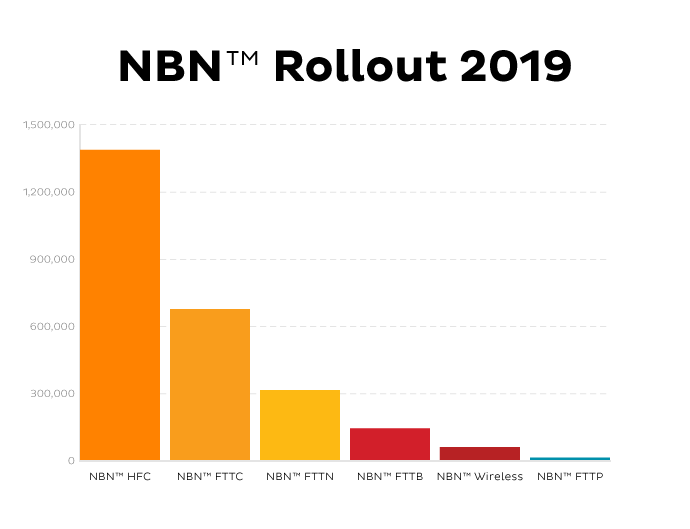 Bear in mind that data on these plans is strictly controlled by NBN, to ensure network performance and maintain the capacity needed to run these connections. As a result, our plans are pushed as far as NBN will allow before they forcibly slow down the speeds of each service. If we hear of any plans to possibly increase data limits on these connections, you can be assured that we’ll be looking hard at them to see what we can offer! As a retired electrician, my partner has the skills to run a fibre cable replacing the old “pots” copper wires from the kerbside node right to our property, a distance of 300 to 400 metres. In fact any useful bloke could easily do this. Terminating the cables at both ends would be done by professionals. The cable tunnels are there. If all of the neighbours shared the cost of the new cabling and connecting up to reduce the expense, would it be possible to employ nbn contractors on weekend rates to do this job. This would be a private overtime job for them. Would the NBN company allow this? That’s a very interesting question! NBN should be able to do this as part of a regular install, especially if the conduit is already available. Otherwise, they may suggest engaging a private technician to step in. Either way, this can be arranged as part of the standard application and install process, so feel free to get in touch with us via iionline@iinet.net.au if you’d like to know more and we can arrange contact for you. Hello I was offed wireless NBN but with the land where I live I would need a 20m tower. I have ADSL 1 with turbo so then a downgrade to sky muster was next on the list and say no to that I will stay with ADSL. I am only 1.3 km from the phone exchange and FTTN will be done later this year. The FTTN will be just 300m down the road and my copper ADSL will pass the node so why can I only have Satellite? Great question here! this ultimately comes down to what NBN states is available to you. If there’s no active fixed line services and NBN deems that NBN Wireless is not suitable, then they will default to NBN Satellite as the final product choice. We’d suggest waiting if you can – the rollout map does often change as NBN’s requirements also change, so you may see a difference in availability. Based on the idea of self installation of Fibre to the FTTN or FTTC “Node” discussed above (depending on what service is currently proposed or already available for a property) and taking in the pathetically low rollout of additional Proper FTTP NBN indicated for 2019, when can someone who is in a planned FTTN / FTTC rollout area or where this type of substandard NBN is already available to connect to expect it to be replaced by the proper FTTP connection that the whole idea of NBN is based on. As per the example mentioned above, my boss has NBN (FTTN or FTTC I don’t know) in his area and the Node is on the verge out the front of his home and he paid a licensed electrician with telephone accreditation to run Fibre from his home out to the Node after obtaining permission from NBN (or whoever he needed to ask). He had to cover the cost of running the Fibre Cable and from what I understand is responsible for maintaining that Fibre Cable portion of his NBN connection but this won’t be a problem once NBN finally replaces All non FTTP NBN services with the proper FTTP they are supposed to provide to begin with. I now have NBN available. Question 1 When I say yes to iinet do you send a techo out to run a new cable within my ceiling from the NBN point of attachment to my new modem? Question 2 Can I decide where the modem is to be? Question 3 what is the cost of initial installation? Question 4 Do I still have my existing ADSL when this is all going on? PS I would like an email reply as I have trouble hearing on your call centre. We can help with this here! You’ve asked some great questions but some of this is partially dependent on what NBN connection type is available to you. We’ve managed to locate your details, so we’ll e-mail you a reply, shortly. We wish to retain our landline and our home phone, is this possible with NBN. We also have our monitored alarm connected to the landline although I think it will go through a modem with NBN. Can you help with answers please. Once connected to the NBN, the landline will no longer be connected to the exchange. The number is ported over to be an internet-based phone service (VoIP) which will rely on your internet connection to work. You;ll be able to keep the number, but your phone will simply plug into the modem, not the phone socket in the wall. As you have a monitored alarm system, we strongly recommend having a chat with your alarm provider first. They’ll be able to recommend a solution for you. Just a quick tip. When explaining NBN infrastructure provide the full term rather than just the initialled abbreviation of the term in the first instance (with the abbreviated form in brackets next to it); then use only it’s abbreviated form after that. That’s a basic rule for writing. I’m in a profession full of acronyms and jargon. That’s how it’s done to ensure what you communicate is easily understood. I agree totally with Andrew above, I have voiced my opinion before and with over 10 years with iinet, I will NOT be connecting to a low grade NBN which is even now misrepresented in the “sales pitch” I know for a fact that there has been NO installation around my property with fibre optic cabling…. therefore NO NBN has been installed, yet your site tries to state that NBN is available to me… What CRAP! .. as a retired contract builder / electrician, I installed my original telephone land line, underground in pvc conduit, over 160 meters from the street service pit. Read your own guidelines to see that a ‘NODE’ has not been provided within specified working distance from my service. So stop trying to sell me a NBN connection which is all BS. When and if you get a fibre optic cable to my front door, then and only then will I agree to connect… with fibre optics ALL the way. You have my email, yes you may try to explain this away, but none of your Rep’s have been able to as yet even place a “NODE” anywhere near my premises, thankyou. Thanks for taking a few moments to write. Hi, we are looking at hooking up to FTTC in the near future but heard from other businesses that they were without phone/internet/eftpos for over a week whilst in changeover mode. Is this standard procedure? Its certainly wise to be prepared for any downtime when changing over to a new connection type for your business, so well done for thinking ahead and wanting to be sure about the risks of any time without service! We can help with this, too! We’d love to have our Business Team step in and lend a hand with this, as they’ll be able to sort out any concerns you may have. If you don’t mind, would you be able to e-mail us directly to iiOnline@iinet.net.au with your details? Please be sure to mention your reply here and if you like, add in a little info on what you[‘re wanting to do and what your needs are. This way, we can have the Business team primed to help you. Does this mean that I will no longer have iinet as my service provider? We’d love to continue to have you as our service provider, as we do retail NBN plans! I have been on a no contract arrangement with iiNet for over a decade. When the NBN eventually arrives, why do I need to pay another connection fee? Will iiNet waive the $79.95 one-off connection fee? We’re sure that our team can help with this when the time comes for you to move over to NBN! Usually, yes, you would need to pay the connection fee of $79.95 to obtain the service on no contract. Also, you may need a new modem, but, we can cross that bridge when we get to it. We’d love to chat to you about this, either soon or when you’re ready to move to NBN. If you’d like to do, please accept our invitation to get in touch via iiOnline@iinet.net.au with your details and mentioning your reply here. We’re always happy to help as much as we can! I currently have an Optus package with phone, internet, Fetch etc. for about $105 per month. As I have to sign with a provider to access NBN, I’m open to whom so ever offers the best deal. I’m currently dissatisfied with the Optus coverage with all systems on hold for a week waiting for a 10 minute tech visit and a rather cavellier treatment from call centre in India. Does IiNet have its call centres on the sub continent? Good service is good service, irrespective of the location that it comes from and we’re very proud of our team. We have an incredibly diverse mix of cultures throughout our call centres in Auckland, Perth, Manila and Cape Town, all working hard for us. I’ll believe it when I see it. The NBN website originally said I’d be connected in Oct 2017. This gradually blew out to March 2018 when they said it could take “up to another six months”. It said this every month until Sept 2018 when they said I could expect to hear from them in April 2019. Now it is saying I’ll hear from them in September 2019 because “more work needs to be done”. The rest of my street has been on since March 2018. My ADSL works well, my phone works well, so what needs to be done? NBN will not tell me anything. We’d love to have you connected to NBN, as soon as possible! In these situations, the usual cause is an infrastructure issue within NBN’s own network. This can see other premises in your area connected out your address left out until NBN resolves the issues at play. We’ve tried to find more information for you as to the delay here via NBN’s systems but we have no further details to offer. Its now the end of March 2019, will the NBN really be finished in 8 months as promised? You’d have to ask NBN that one! NBN cables were laid and the NBN box sits outside on the wall for some 8 weeks. We signed up with iiNet months ago. When can we expect the final connection will be made. We’d love to tell you exactly when but we also need to preserve your privacy, so its a detail that we simply aren’t able to go into, here. Having said that, it does sound like you should be very close to being able to have a connection appointment and we’ll update you as soon as that is ready. I paid for an early adopter maximum plan. But I received notice that at this time it cannot be provided. After three conversations I am yet to received a refund. Also when I check NBN availability for my address it keeps informing me that NBN is available for my address. Would you mind getting in touch with us via iiOnline@iinet.net.au with your details? We can then have our Billing team jump in to lend a hand. I currently use VDSL2 (iiNet) and get around 43mb/s download max (less at peak time). NBN FTTN has rolled out here now and I want to know how I can find out whether the iiNet NBN connection would be any better than my existing iiNet VDSL2 connection (I don’t think its any cheaper though). We’d love to have a chat to you about this, as customers on our own Ultra networks (iiNet Cable, iiNet VDSL2 and iiNet FTTB) do not need to move to the NBN. Would you mind dropping us a line via iiOnline@iinet.net.au with your details and mentioning your post here? We can then locate your account and do what we can to help.